An Amusement Park or theme park is a group of entertainment attractions, rides and other events in a location for enjoyment of large number of people. We start a series of “Top Amusement Parks in the World”. 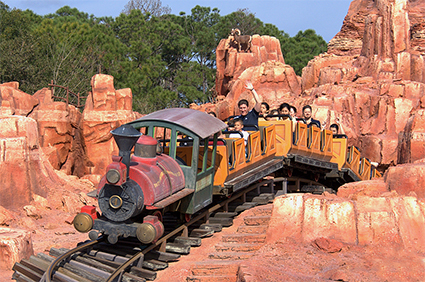 The first Amusement Park with ranking one is “Magic Kingdom”. It is Walt Disney World’s most popular destination, and is first on things on everyone’s list when they arrive in Central Florida. If you want to experience the true essence of Disney magic then simply stepping foot inside the Magic Kingdom. It is opened since 1971. The Magic Kingdom is divided into five lands, Tomorrowland, Fantasyland, Frontierland, Liberty Square and Adventureland. Each land is themed to its appropriate title. A vast network of underground tunnels connect all sections of the Magic Kingdom, thus preventing guests from seeing any of the necessary “behind the scenes” operations, and preventing cast members from one land from having to walk through another. 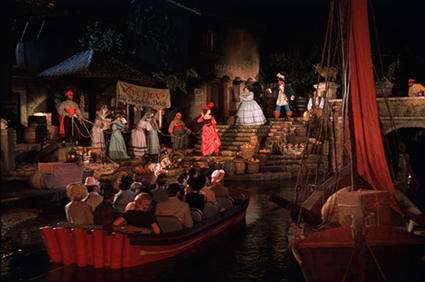 Pirates of the Caribbean: - This is a boat ride back in the time to the days when pirates ruled Caribbean. The main attraction is features audio Animatronics pirates; including Captain Jack Sparrow engaging in swashbuckling mayhem. There is great fun for guests of all ages. 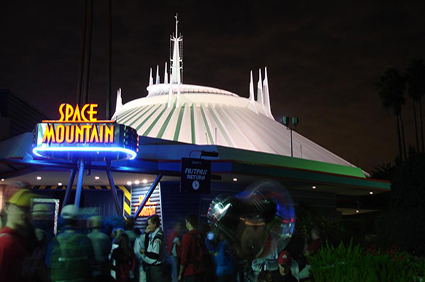 Space Mountain: - Space Mountain is a dark roller coaster through outer space. Here are some cool theming like a blast off tunnel, and music to enhance the experience, some interesting spost show scenes in space, and games in the queue. It is highly recommended to visit Space Mountain in the early morning or at late night. 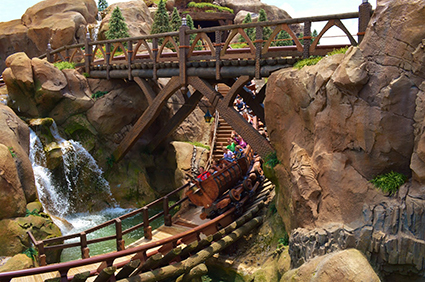 Seven Dwarfs Mine Train: - This is the newest attraction at Walt Disney World. This is very popular among visitors. The main features are Audio-Animatronics and theming the weaknesses are duration and show lighting. This roller coaster dark ride hybrid has a 38″ height requirement, but is very smooth and should not bother those with mild fears of heights. 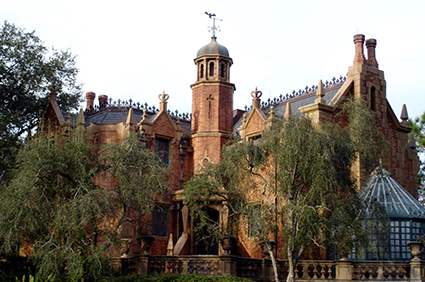 Haunted Mansion: - The Haunted Mansion is a slow moving dark ride that is home to 999 happy haunts that are dying to meet you. No further explanation should be necessary. If you aren’t familiar with the premise of the Haunted Mansion, you’re probably living under a rock. In the Haunted Mansion, the ghosts are the more jovial, singing type, so it shouldn’t startle young children, but it is dark. This is another attraction that you can do whenever. 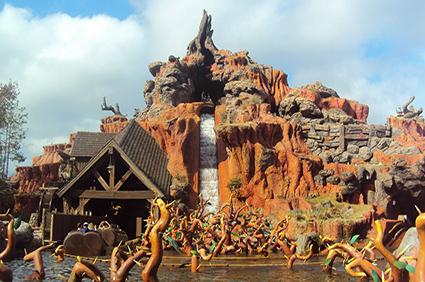 Splash Mountain: - Splash Mountain is a log flume ride that features a story from Disney’s Song. It does not have that thrill but it has great Audio Animatronics-driven show scenes that make it an all-around winner and one of the best attractions in all of Walt Disney World. Minimum height is 40″; the drop is the only part of the ‘scare-factor’. 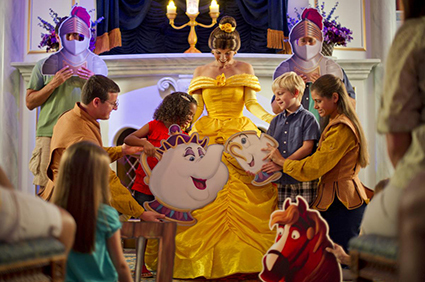 Enchanted Tales with Belle: - An elaborate character encounter in New Fantasyland, the draw of this attraction really depends upon the guests. Everyone will be impressed by the technology utilized in it, but only small children and their parents are likely to enjoy the actual experience, which is a bit hokey. 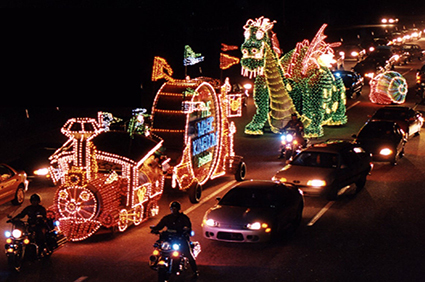 Main Street Electrical Parade: - This nighttime light parade is incredibly dated, but is still a Magic Kingdom classic that is great fun to watch and shouldn’t be missed.